If you don’t have a guest room in your home but have guests that you need to host in your home for a few nights, then you should consider purchasing a sleeper sofa, or sofa bed! Now is a great time to prepare your home as the holidays are coming up quickly. 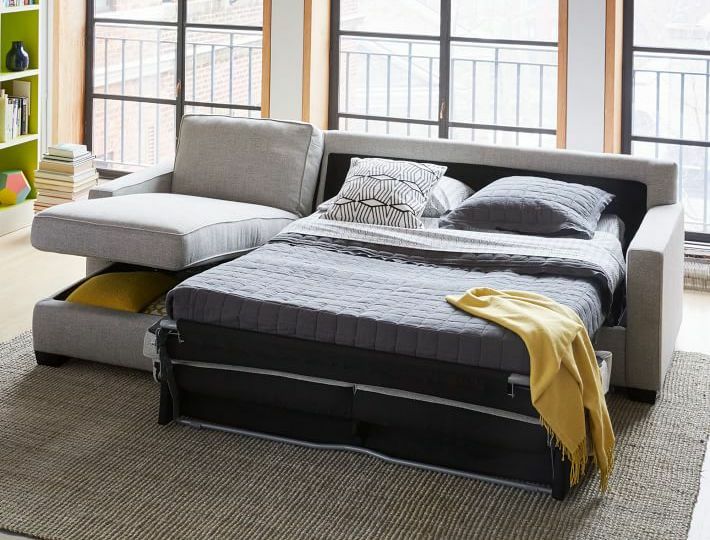 Now I know you might be thinking of your college days when sleeping on an uncomfortable futon was considered normal to some, but don’t worry – sofa beds have come a long way since then! Shopping for sleeper sofas can be challenging because you need to consider two entirely different purposes for the one piece of furniture. On the one hand, the sofa needs to be comfortable to sit on, especially if you’re planning to use it as the main sofa in your living room. Secondly, you want the pull-out sofa bed to be comfortable as well for any guests you may have into your home. 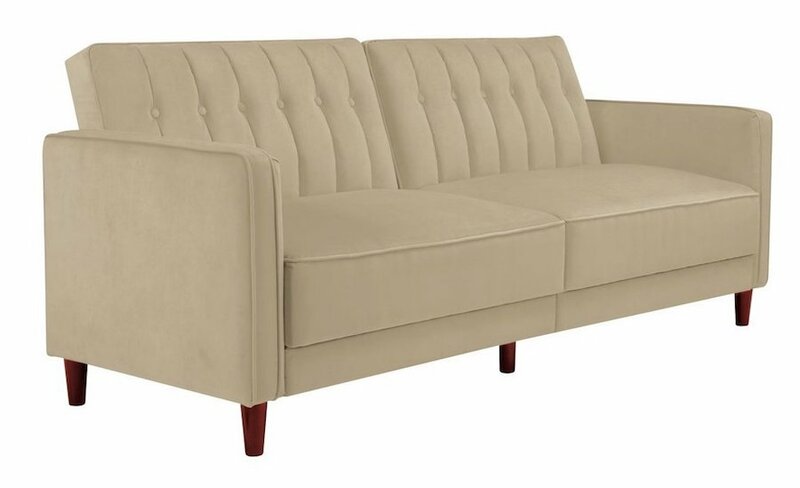 This tufted convertible sofa from Wayfair has over 4,000 reviews giving it a 4.5/5 star rating! 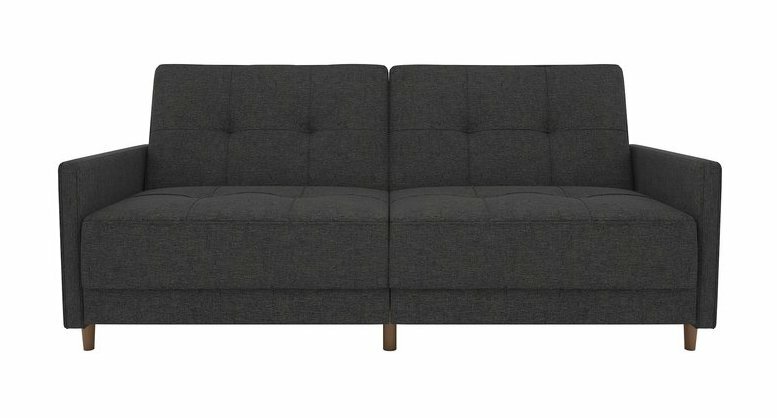 At just over $300, this sofa is a steal! It comes in a beautiful tan velvet color making it easy to blend in to your home. It actually looks more like a soft beige sofa to me! The back folds down to sleep two comfortably. This sofa bed is the highest rated overall, with nearly 1,000 reviews giving it an average of 4.5/5 stars! Reviewers love the memory foam of the mattress and comfort it provides. 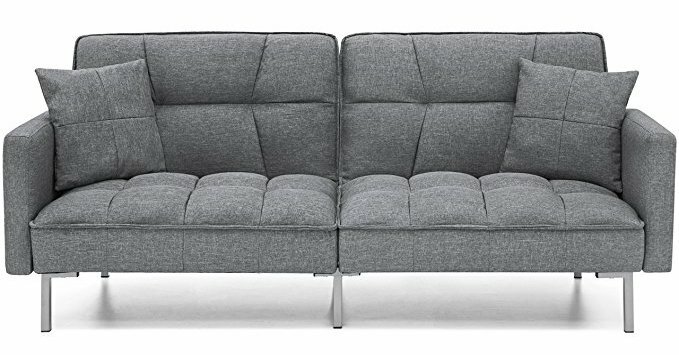 This sofa comes in three sizes: Twin, Full, and Queen each of which are priced at less than $150, with free shipping included. The rounded arms and plush seating on this sofa bed remind me of a cozy country home! This sofa comes in over 100+ different fabric options, mostly in muted colors, and requires no assembly. It goes for as low as $800 making it a solid investment sofa. 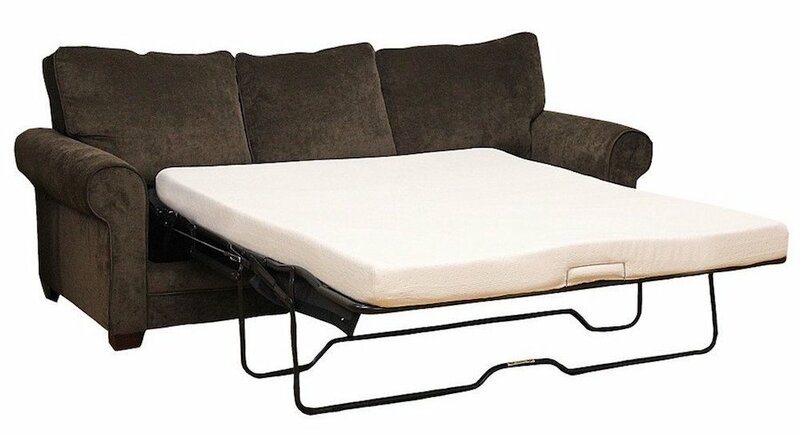 On Amazon, this sofa bed is a best seller! In a cool grey, this sleeper sofa is clearly a popular choice. It converts easily into a bed by laying down the back side of the sofa. You can also choose a variety of other colors with this sofa! 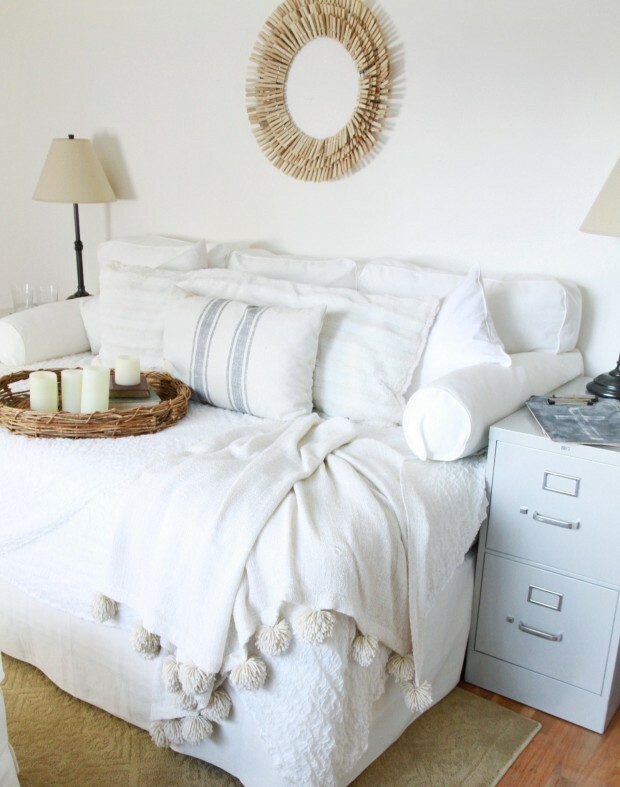 I love how this basic but chic sleeper sofa is visually pleasing and also practical. According to Wayfair, it works great in small spaces and has over 1,000 positive reviews! Looking for a tufted sleeper sofa? Then try this beautiful gray sleeper sofa from Wayfair. This sofa gives off mid-century modern vibes and is made of 100% linen upholstery. 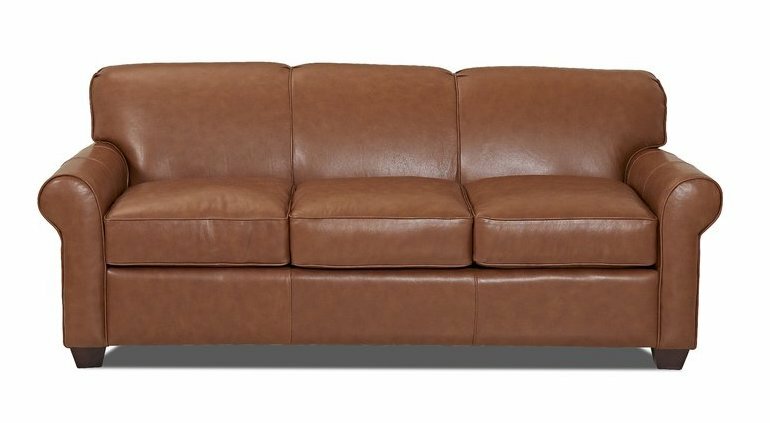 If leather sofas are your thing and you’d like yours to have a convertible bed inside, then check out this highly rated leather sofa bed! Reviewers noted how its length can fit tall people, and liked the fact that it’s so stylish it doesn’t look like a sofa bed at all! 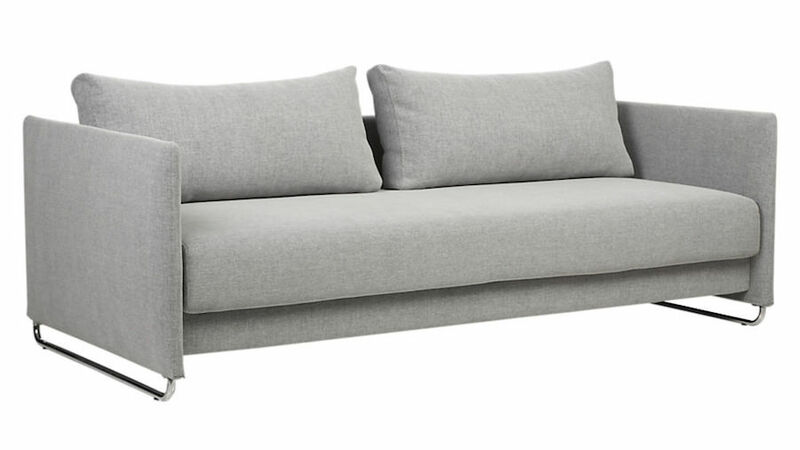 I love this minimalist sofa bed in a light grey tone from CB2. It was designed with ease of use in mind, and contrary to most pull-out sofa beds, does not need to be moved away from the wall to unfold. You simply pull out the bottom and then fold down the back. Brilliant ! By day it’s your everyday sectional sofa, but by night it’s a double bed! I love the ingenuity of this awesome sleeper sofa which uses the chaise lounge part as storage. 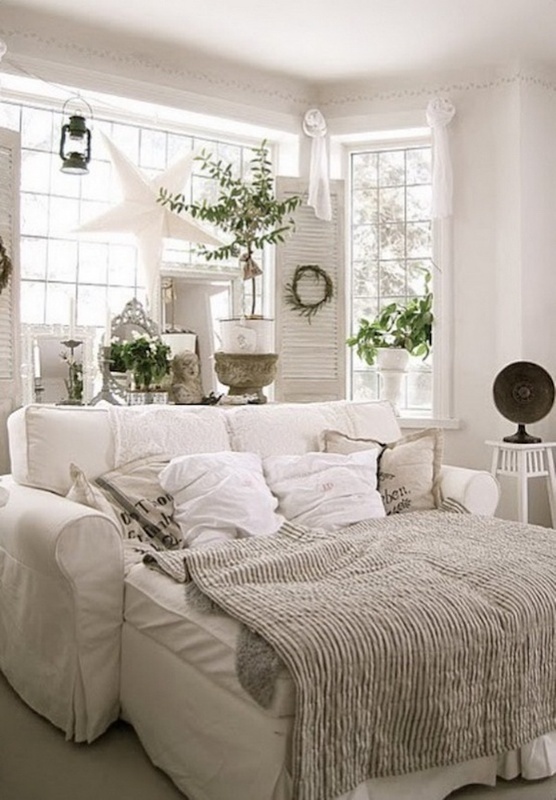 Simply flip up the chaise part of the sofa and pull out the sheets and pillows for your guests. The main sitting part of the sofa will turn into a bed at your convenience! This is a great investment sleeper sofa. I would never know that this beautiful sofa was a sofa bed by looking at it! 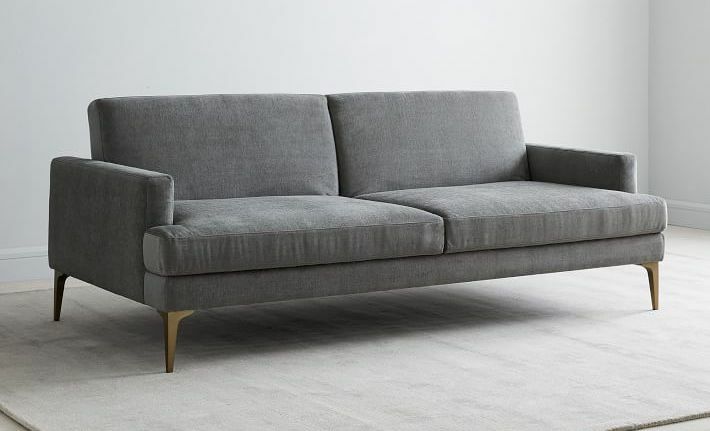 From the brass feet to the minimal chic frame, this modern sofa bed is exactly the one for you if you’re looking for a sofa that can hold its own weight in your chic living room but also take good care of your guests when they sleep over! 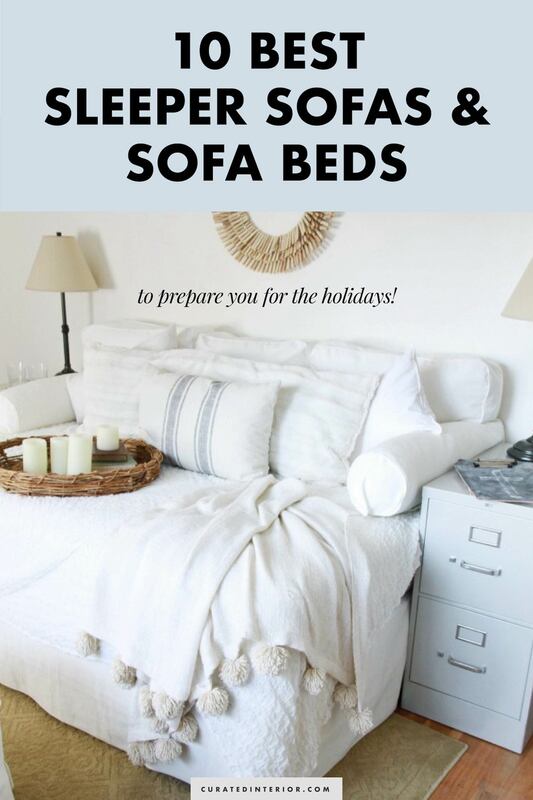 Hope this short guide to sofa beds and convertible sofas was helpful to you! 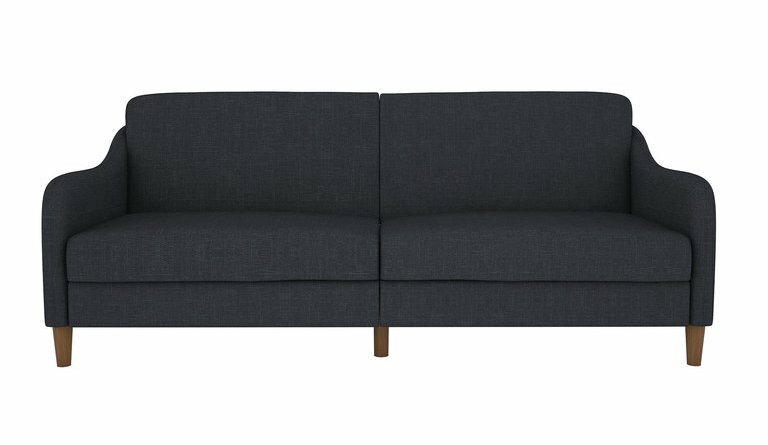 Is there a sofa bed you recommend? Let us know in the comments!